O Lord, we beseech You, arouse the wills of Your faithful people that, by a more earnest search for the fruit of Your divine work, they may receive more abundantly of the healing effects of Your goodness. Through our Lord Jesus Christ, Thy Son, Who liveth and reigneth with Thee in the unity of the Holy Ghost, God, Forever and ever. R. Amen. Brethren: We have been praying for you unceasingly, asking that you may be filled with knowledge of God’s will, in all spiritual wisdom and understanding. May you walk worthily of God and please Him in all things, bearing fruit in every good work and growing in the knowledge of God. May you be completely strengthened through His glorious power unto perfect patience and long-suffering; joyfully rendering thanks to God the Father, Who has made us worthy to share the lot of the saints in light. He has rescued us from the power of darkness and transferred us into the kingdom of His beloved Son, in Whom we have our redemption, through His Blood, the remission of our sins. Be merciful, O Lord, to our humble requests and accept the offerings and prayers of Your people: turn the hearts of all of us to You, that, freed from earthly cravings, we may pass over to heavenly yearnings. Through our Lord Jesus Christ, Thy Son, Who liveth and reigneth with Thee in the unity of the Holy Ghost, one God Forever and ever. R. Amen. 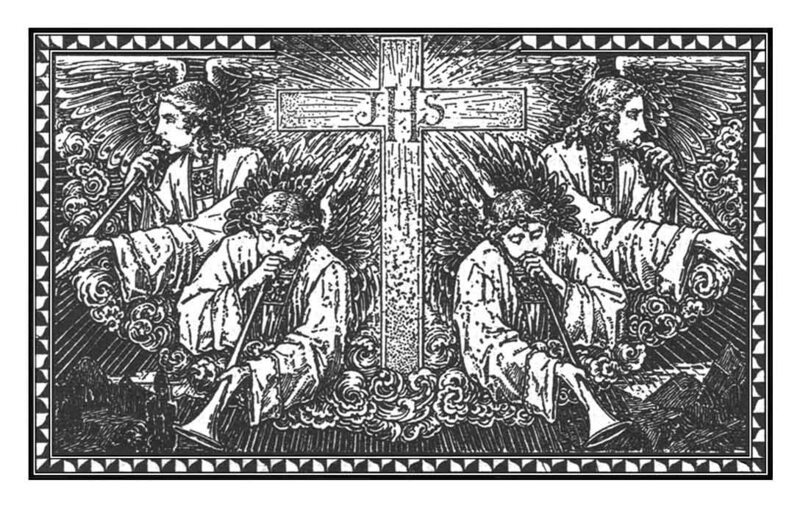 Grant us, we beseech You, O Lord, that all the evil in our hearts may be cured by the healing power of the sacrament we have received. Through the same Lord Jesus Christ, Thy Son, Who liveth and reigneth with Thee in the unity of the Holy Ghost, one God For ever and ever. R. Amen.